Several years ago my father gave all my siblings and my adult nephew Roombas for Christmas. Immediately I started hearing how everyone loved theirs, but ours sat for a while. We had a need for clean floors, because we had a baby, but we also had a nearly constant state of crawling baby clutter on the floors and thought it was too much trouble at the time. Wow, we really made a mistake. Once we started using it, it changed our lives. All it takes is a quick "roomba patrol" before you leave the house and Roomba will drastically improve the status quo cleanliness of your floors. Like many such devices meant to help you, you won't reach perfection with no effort, you will still need to clean. Of course, you don't just throw leftover food into your dishwasher with your dishes and expect it to take care of everything, either. Some effort is required, but most of us aren't building a kitchen without a dishwasher. Likewise, I wouldn't have a home at this point without a Roomba. This attitude was reinforced when we moved into our current home with no carpet. Per my parents, one of the reasons people hated the hard floors that were ubiquitous before the second half of the 20th century was that it was a pain to keep the hard floors clean. People moved to carpet, which basically disguised the fact that it was dirty. The trend today is toward hard floors, and has been for some time. One reason is because, well, hiding the fact that you're dirty is just gross. Carpets are never really clean. These days, so many people pay someone to clean regularly that they can more easily live with the maintenance. Once you've lived with it, though, you know that 2 days makes hard floors gross if you have kids or pets or both. Go 2 days and walk barefoot across your floor.... ick. Roomba solves that by keeping things at a maintenance level of clean. In a nutshell, Roomba wanders around your house vacuuming. It isn't as powerful as your main vacuum, and it isn't as smart as you are, but it is small, so it will go under your bed, and it is faithful. If you keep the bin empty and the schedule set, it will go out, clean, and find its way home every day that it doesn't eat one of your second grader's socks that it ran over under his bed. What it doesn't do? It doesn't map your house. It has a set of different behaviors that it switches between. Sometimes it will take off across the room, sometimes it will spiral, sometimes it will follow the wall with a little spinning brush that pulls things away from the wall. These behaviors have a knack of covering your home. Some days it may spend a lot of time in your bedroom, some days in the living room, but by and large, it gets it done. Aside from the vacuum and related brushes, there are 2 drive wheels that allow Roomba to steer, another that allows it to detect ledges, a bumper with sensors to detect if it ran into something, and an infrared system to know when it's about to run into something and slow down, which usually works, though sometimes it will still hit things at its full speed. The infrared detector also lets it see its home base/charging station, virtual lighthouses and virtual walls, each of which have their own IR emitters. Finally there is an RF capability for talking to the above accessories. Roomba has an IR seeking behavior that will cause it to try to find its home base/charging station at the end of a cycle. Once its sensor sees the base, it will home in on it and find its way back and dock so it can charge up for its next cycle. Similar behavior combined with virtual lighthouses are used by Roomba to identify an area. Roomba will try to stay where it can see the IR emitted from a virtual lighthouse for a period of time. If you are a control freak, or just have a specific need, you can use several of them to force Rooma into a cleaning schedule of sorts. With a few lighthouses you could do something like "try to stay in the living room until its clean, then once you find the bedroom, stay there until it's clean, then go to the other bedroom until its clean, then find your way home. Finally, virtual walls will keep Roomba out of an area with a narrow IR beam. You can leave the door open to the playroom and Roomba won't go in and eat the LEGO blocks. Roomba 980 In 2015 iRobot introduced a new top of the line Roomba. The battery pack was updated to Lithium Ion technology, it added additional sensors, and WiFi integration with an app. This new Roomba maps your home, and can do neat tricks like go back to its dock, charge, and resume cleaning so that it covers everything you've scheduled. This is a big step up in capability, and, at $900, you pay for it. 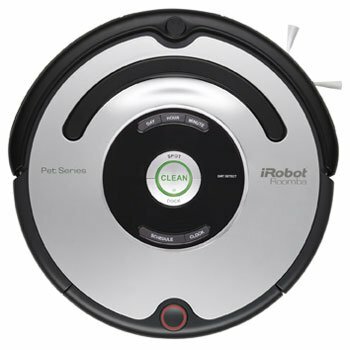 Roomba 880 The Roomba 880 features the 800 series's new vacuum system. I haven't yet trusted it, but I'm going to say that I believe iRobot and that it is an improvement over the older system. In addition, it includes two lighthouses, a virtual wall, and the remote control. Basically it's the newest Roomba with lots of toys and accessories. Roomba 870 The Roomba 870 features the same vacuum system as the 880. In addition, it includes two virtual walls. If you don't want a lighthouse, this is the way to go because it's about $100 less than the 880. The 870 is no longer in the production lineup, but is still available from Amazon. Roomba 860 The Roomba 860 features the same vacuum system as the 880 and includes Lithium Ion batteries, which is a nice feature. It includes a single virtual wall, getting it to a price point to replace the 770 in the lineup. If you know what you're doing on accessories, this could be a good deal for you. I would say that 1 wall isn't enough, as I use 1 all the time but occasionally use 2, but walls are only $40. Roomba 770 This is the pinnacle of the previous generation Roomba design, the 770 is still a solid choice. It comes with 2 virtual walls and a remote control and saves another $100 from the 870. The 770 is no longer in the production lineup, but is still available from Amazon at a good price. Roomba 650 This is the budget choice, and comes with a slightly less evolved version of the vacuum in the 770, and only a single virtual wall, saving another $100. Unless you have Roomba experience and know what you're getting into, or maybe you want to order your accessories separately and get a lighthouse instead of a wall, I probably wouldn't go this far down the food chain. The second virtual wall ($40 of the $100) is worth having, and the newer vacuum is probably the right choice. iRobot makes a ton of different models, including special versions for different retailers packaged with different accessories, and evolutionary versions within each major series. If you know what you're looking for, you can find some great deals. You just have to watch for them.